Although every precaution will be made to ensure your safety and well-being before, during and after your tinting application, please be aware of the possible risks below. Please acknowledge each below. I have read the above information. If I have any concerns, I will address these with my skin care therapist. I give permission to my therapist to perform the tinting procedure we have discussed, and will hold him/her and his/her staff harmless from any liability that may result from this treatment. I have accurately answered the questions above, including all known allergies, prescription drugs, or products I am currently ingesting or using topically. I understand my esthetician will take every precaution to minimize or eliminate negative reactions as much as possible. 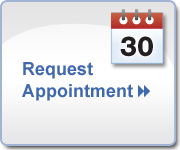 In the event I may have additional questions or concerns regarding my treatment, I will consult the esthetician immediately. I agree that this constitutes full disclosure, and that it supersedes any previous verbal or written disclosures. I certify that I have read, and fully understand, the above paragraphs and that I have had sufficient opportunity for discussion to have any questions answered. I understand the procedure and accept the risks. I do not hold the esthetician, whose signature appears below, responsible for any of my conditions that were present, but not disclosed at the time of this skin care procedure, which may be affected by the treatment performed today. At Jinsei Spa we maximize therapeutic benefits through attitude of application coupled with the highly active ingredients in our constantly curated product collection. We use our extensive transformative client care experience to bring on real results.